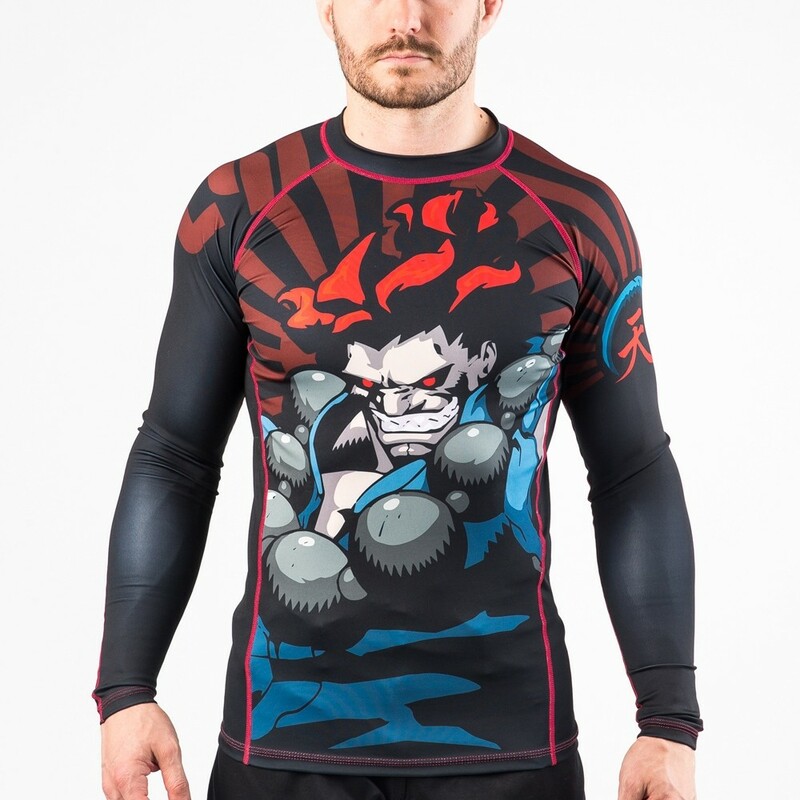 This officially licensed Street Fighter Akuma rash guard has a tight compression fit, is perfect for repelling nasty bacteria, and will allow you to punish other bad dudes like M. Bison. 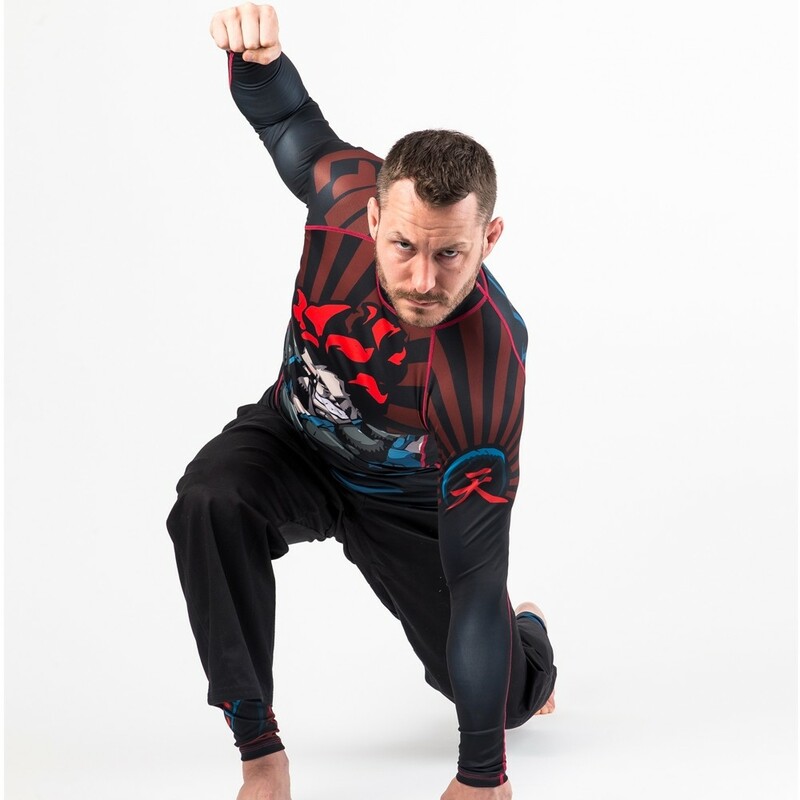 It’s also great for wicking moisture away from the body, and will dry very quickly. 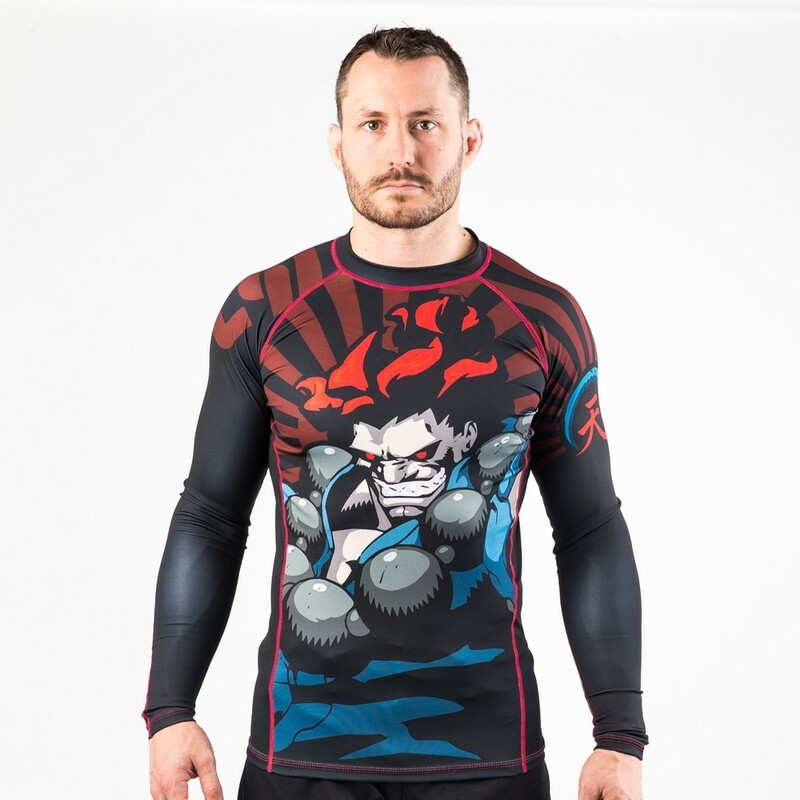 This Fusion Fight Gear Akuma compression rash guard can be worn with just a pair of shorts or spats for no-gi grappling, or under a gi to keep you nice and cool. 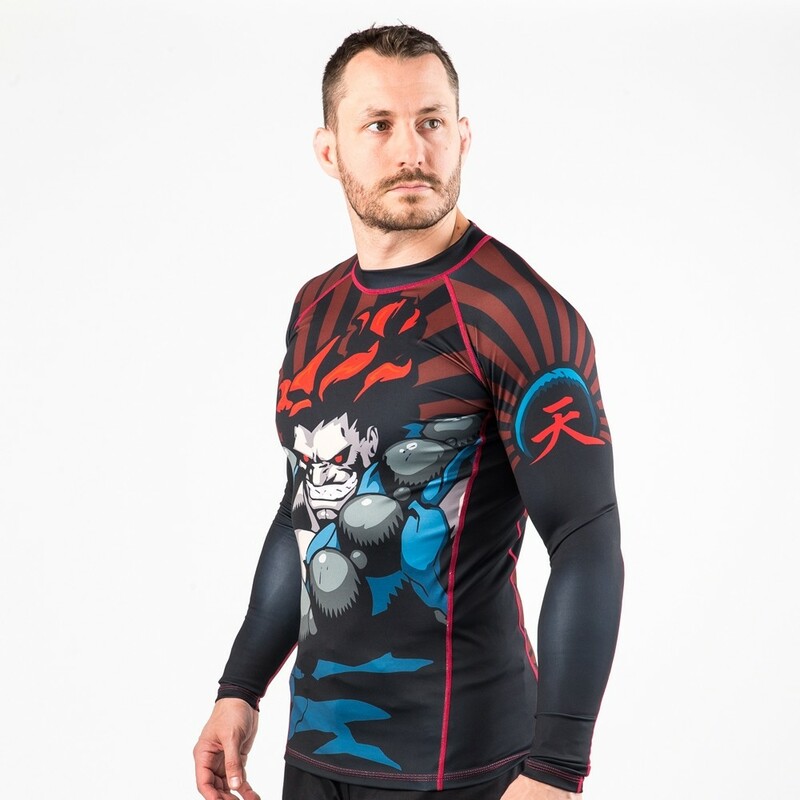 High quality flatlock stitching makes this Street Fighter Akuma compression shirt great for resisting even the toughest wear and tear. 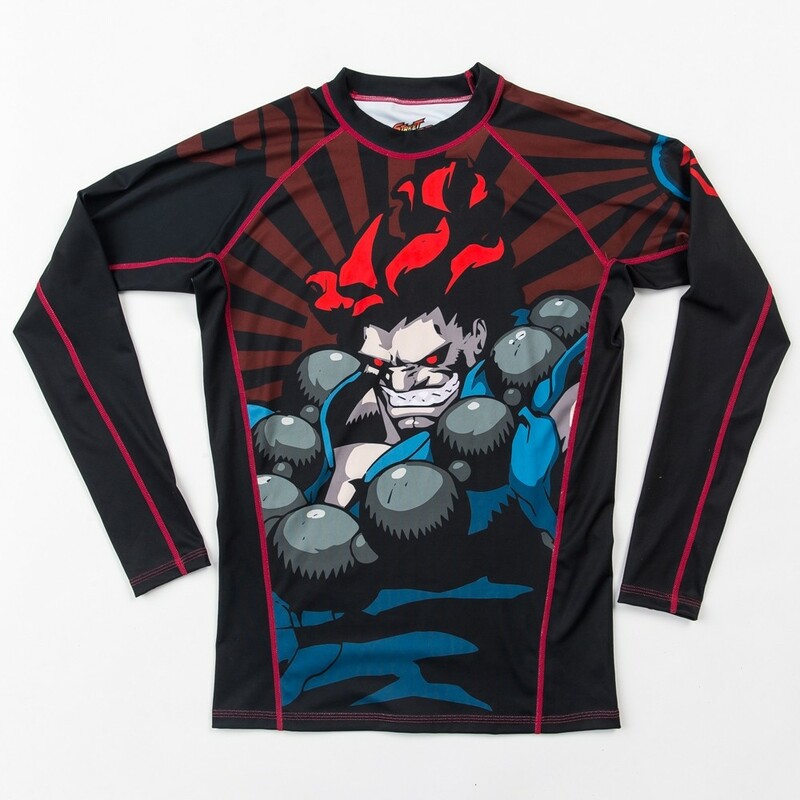 It’s been printed with a sublimation process meaning that the design will never crack or peel off. Feeling nerdier than usual? 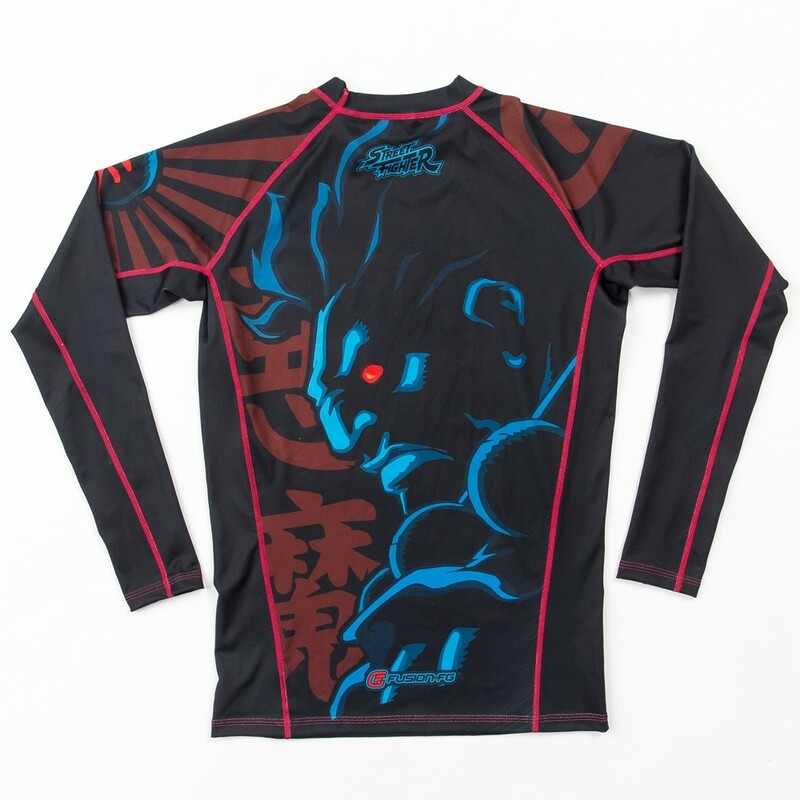 Pair this rash guard up with these Street Fighter Akuma spats!